From its base on the George Stephenson Trading Estate in Killingworth, Leda Transport Solutions opened its doors in June 2016. 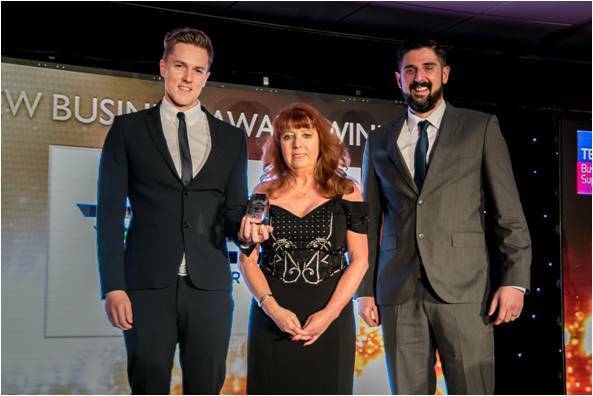 At the end of 2017, the company was named New Business of the Year at the North Tyneside Business Awards – just over one year later. Leda Transport Solutions has enjoyed an incredible first year in business, exceeding all targets set in the original business plan, moving from a home-based office to commercial premises and achieving a turnover of almost £300,000. John MacWhirter, one of the two directors of Leda Transport Solutions, discusses the company’s success. What does Leda Transport Solutions do? The company is currently two-people strong. Myself and Robert Cornell are both directors of the company and we’re right in the middle of the interview process to take on an apprentice. Our main area of business is to act as a freight forwarder or transport broker, organising dedicated and express road freight in the UK and Europe. We also deal with grouped road freight, sea and air freight. How did you come to apply for the New Business Award? Right from the very beginning of our business we have taken advice from as many places as possible. The North Tyneside Business Forum, and particularly The Business Factory, has been an invaluable source of information and advice for us. Our Business Advisor, Janice Ross, suggested that we should apply for the Award last year. We took her advice and now we’re incredibly pleased that we did. Winning the award is a huge achievement for us, and one that we’re very proud of. We’ve shouted about the award all over our website and social media pages so that our customers and potential customers can see what we’ve achieved. We even won work from a business that we met at the Awards evening, as a direct result of winning, so it really couldn’t be better! Being able to demonstrate the successes we’ve had to potential customers is a real bonus for us. Having the Award is a strong third-party endorsement for the company, which helps potential customers to build a sense of trust in us as a business. We’re currently interviewing for an apprentice position. Our plan is to get that apprentice up to speed and follow up by taking on further employees in account management positions to grow the business. We have been ambitious yet cautious in our approach to growth so far, which has proved to be the correct pathway for us on several occasions. Taking on employees step by step will remain in our plans for the foreseeable future. Supporting the local community gives us a great sense of achievement. We use local suppliers to carry out work nationwide and we have customers in the area that we undertake work for on a global scale. 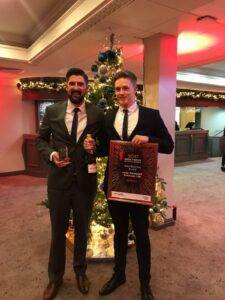 It really means a lot to us to win work for suppliers in North Tyneside, which might otherwise have been won by potentially bigger suppliers from elsewhere in the country. The George Stephenson Trading Estate, our new home, is so busy on a day to day basis. It’s so motivating to see goods being moved around us all the time and keeps us working hard to secure new business both on our doorstep and further afield.